Pakistani cricket do things differently (A fight for the captaincy title saga). While according to the fans Mohammed Hafeez and Shoaib Malik topped the list of their next-favourite captain, a bizarre decision by the PCB shook the fans’ hearts upside-down. 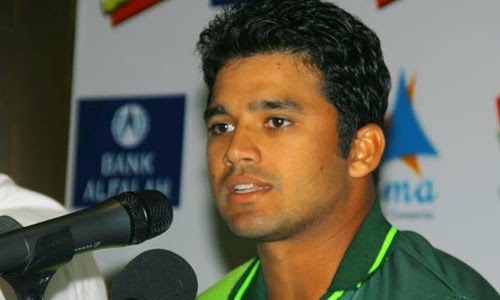 Out of nowhere Azhar Ali has been named as the new captain of Pakistan ODI cricket. On record, Azhar Ali has played only 14 ODIs so far and the last one that he played was almost 2 years back in January 2013. Ali has been absent from the world of ODI cricket from the past 2 years but the PCB chairman believes that he had proved himself in the domestic pentangular cup. “Azhar Ali has been appointed captain because of his leadership skills, team spirit and character” the chairman, Mr Khan told the reporters. Azhar Ali has not only been entitled as the Captain of the Pakistan’s ODI cricket but also as the Vice Captain of the test squad which Misbah-ul-Haq will continue to lead.